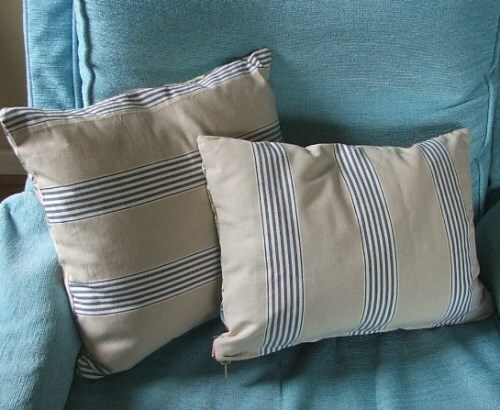 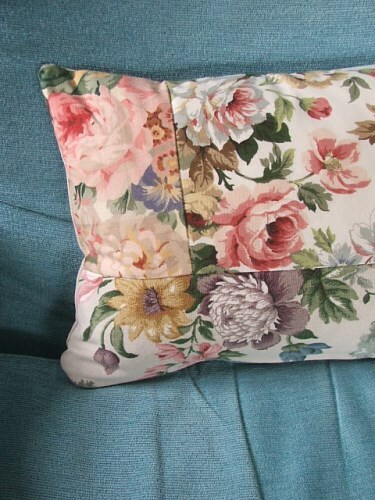 Pretty patchwork floral cushion cover, with blue stripe ticking reverse. 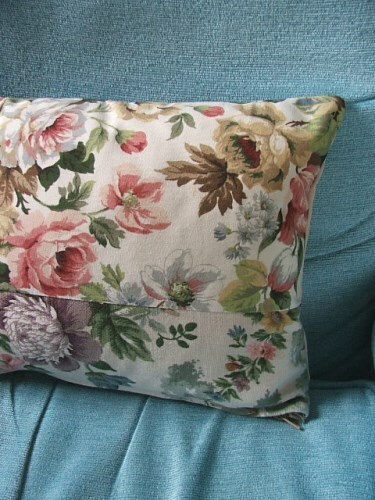 Each cushion has been handmade using vintage floral fabrics and has a zip opening. 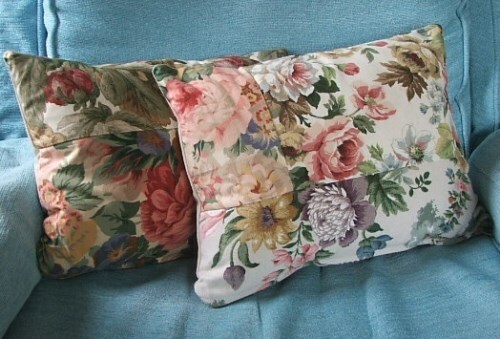 The cushion cover measures approx 15 x 11"